The FH30 project has consumed much of the company?s energies for the last two years and has resulted in a stylish craft that has exceeded performance expectations. 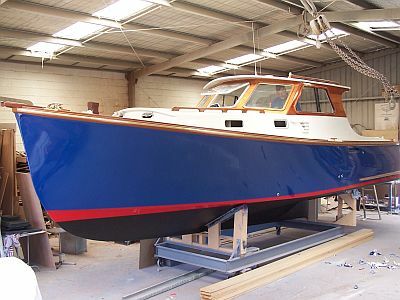 Design parameters demanded by our client were specific and proved a challenge so we sought design advice from and then commissioned naval architect Andy Dovell to draw the hull to meet the size, displacement, power and performance requirements. 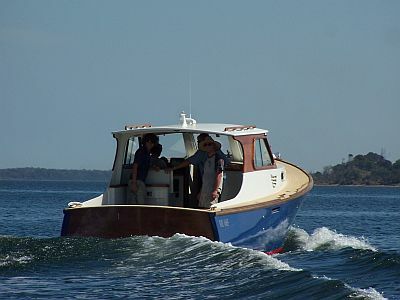 The hull shape was modified and redrawn several times as it evolved into the fast and distinctive 3.5 tonne 16 knot cruiser desired. A Yanmar 125hp turbo charged diesel was selected for its horsepower/weight ratio. 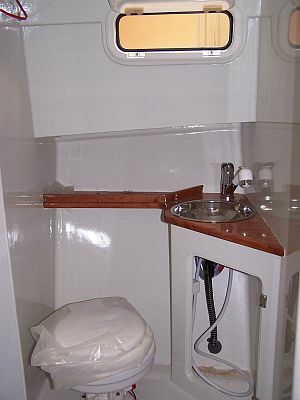 This motor is the smallest engine in its class and one that could be fitted below the cockpit sole thus giving a large open expanse in the cockpit. 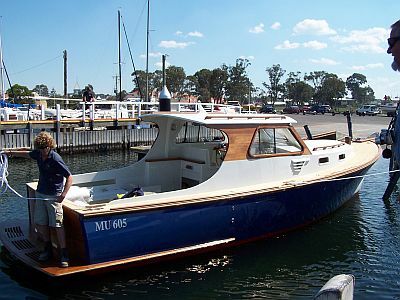 The engine installation was very tight with stringent ventilation and exhaust requirements being met. 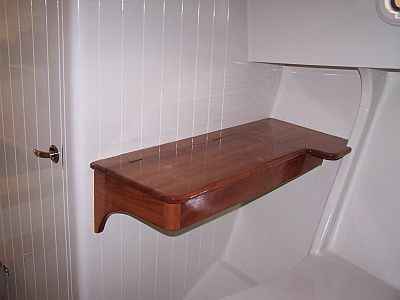 The superstructure was a combined design effort of the owner and the Frecheville Heaney team. 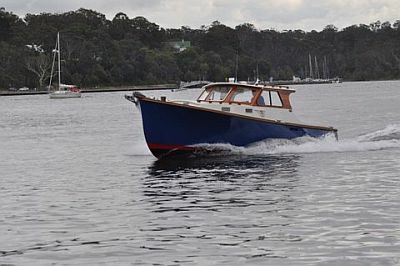 The boat was steamed to Sorrento after seatrials in the Gippsland Lakes and handed over to the owner whose patience throughout the project has at times been tested. 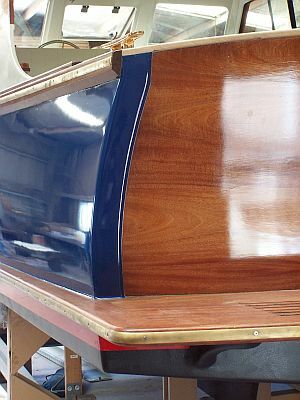 A good boat takes time to build, especially when it is a custom one off design. 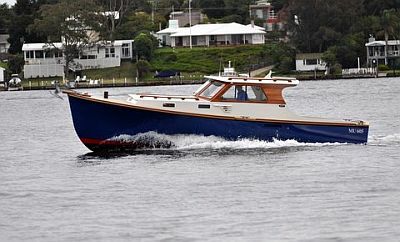 It is hoped that the new boat will be on display in Hobart in February for the next Australian Wooden Boat Festival. Call for details and photographs.